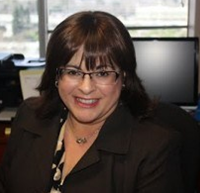 Lori J. Costanzo started Costanzo Law Firm, APC in 2011 after practicing law in the Bay Area for over 20 years. Her firm currently engages in general civil litigation with an emphasis in employment law. Ms. Costanzo routinely represents employees in all industries, including high tech companies regarding all areas of employment law, including federal and state antidiscrimination statutes, executive compensation, severance agreements, collective bargaining, employment agreements, employment policies and procedures, employee investigations, workers’ compensation retaliation, National Labor Relations Act, Fair Labor Standards Act, Equal Pay Act, Family and Medical Leave Act, and Older Workers’ Benefits Protection Act. Having practiced 15 years of insurance defense litigation Ms. Costanzo brings a unique perspective to her firm having managed a successful defense practice where she developed invaluable trial skills. Ms. Costanzo has been a member of the Santa Clara County Bar Association- Women Lawyer’s Executive Committee since 2010, has Co-Chair WLS and has Co-chaired the annual Lean-In Conference from 2014 to the present; she is also a member of the Labor and Employment Executive Committee. She was recently elected to the Santa Clara County Bar Association’s Board of Trustees and appointed to the SCCBA’s Executive Committee. Ms. Costanzo is also a member of the Santa Clara County Trial Lawyer’s Association. She has been a longtime member California Employment Lawyer’s Association (CELA), and Consumer Attorneys of California (CAOC); in addition to the American Bar Association and National Employment Lawyer’s Association.